This year marks the 400th anniversary of events that would change the course of what is now known as Virginia. During the summer of 1619 in the first permanent English colony of Jamestown, settlers held their first legislative General Assembly. In August privateers landed and sold the first Africans, captives who were booty seized from a Portuguese slave ship sailing from Angola. Although some early arrivals from Africa gained their freedom, the institution of race-based slavery soon took root. The Virginia Company in England organized the first large-scale transport of young women as wives for the settlers in America. These events and others during this pivotal year would alter the lives of the Indigenous people in this region and send rippling impacts throughout the rest of the country. To recognize these significant events, the state of Virginia has partnered with national, local and private institutions to create the 2019 American Evolution Commemoration (AmericanEvolution2019.com). This yearlong series of programs, exhibitions and educational projects explores the lasting impacts of the intersection of American Indian, African American and Euro-American cultures as well as the roles of women during this formative year and beyond. An integral component of the American Evolution initiative is to acknowledge the significant role women have played in Virginia’s history. On Dec. 4, 2017, ground was broken for the Virginia Women’s Monument entitled Voices from the Garden, the first monument to recognize women’s achievements in America during the past 400 years. 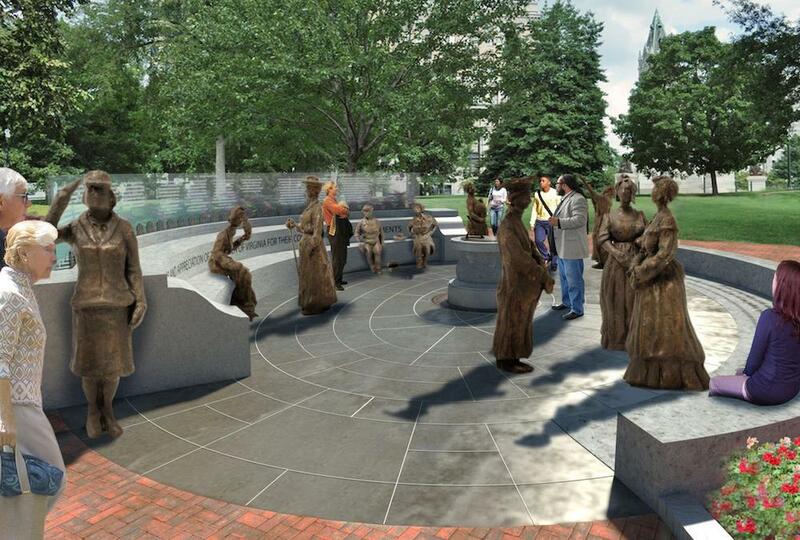 For this American Evolution partner project, 12 bronze statues will be erected in the oval garden plaza in Richmond’s Capital Square; they will depict women from different periods of Virginia’s history. One of the statues will portray Cockacoeske, the chief (the Europeans called her “Queen”) of the Pamunkey tribe. Cockacoeske was the daughter of Opechancanough, the brother of paramount chief Powhatan, and was related to Matoaka (Pocahontas). After Cockacoeske’s husband, Totopotomy, died in 1656, she became the Pamunkey chief. She was one of the first Native leaders to negotiate a treaty with the English government. She and representatives from several Virginia tribes signed the Treaty of Middle Plantation on May 29, 1677. At Cockacoeske’s request, several tribes were reunited under her authority to establish the first treaty-recognized reservation of their ancestral lands. She was the chief of the Pamunkey until her death about 1686. Cockacoeske is also being featured in an American Evolution partner project, Tenacity. 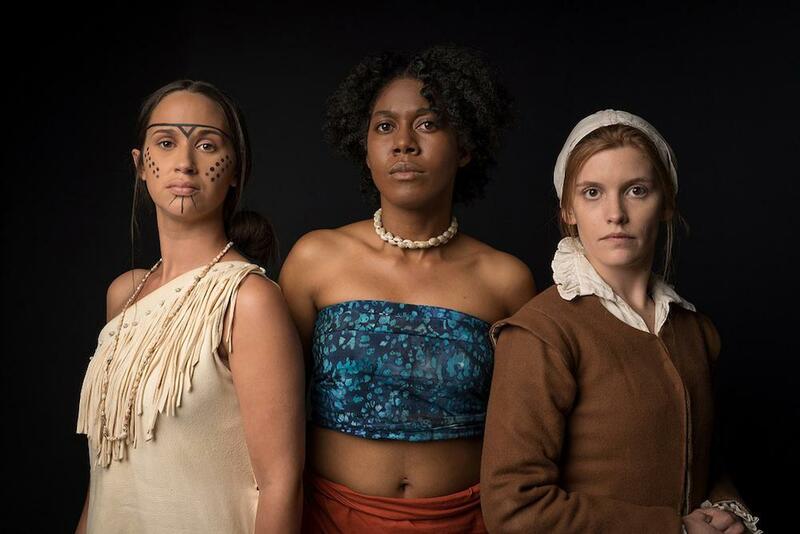 This exhibit at the Jamestown Settlement depicts the lives of this Pamunkey leader as well as women of Jamestown and discusses their impacts on this fledgling community. In conjunction with this exhibit, the play Mother Tongue explores the stories of Matoaka, Anne Burras Laydon, a 14-year-old English maid, and Mary Johnson, an African slave who gained her freedom and became a landowner. 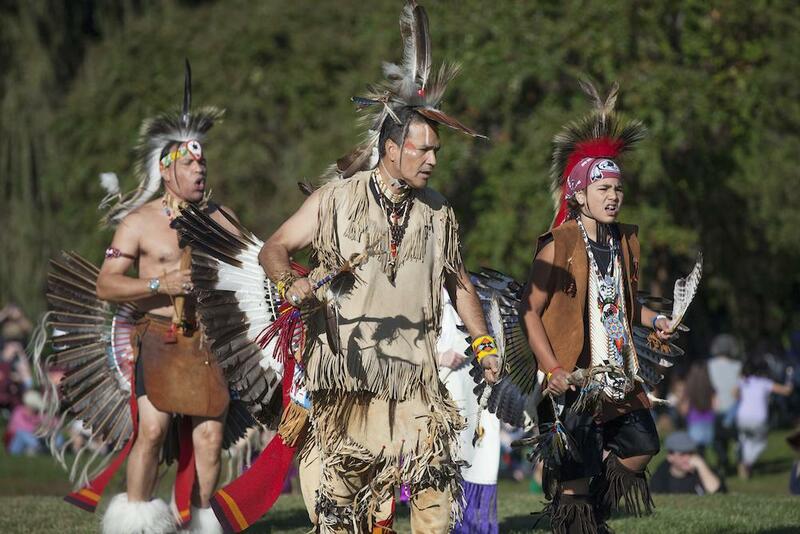 A key project of American Evolution is the annual Pocahontas Reframed Storytellers Film Festival. Initiated in 2017, the festival features mainstream movies in which Indians play major roles as well as independent films produced, directed or written by American Indians. The initiative is dedicated to refuting stereotypical portrayals of Indigenous Americans, on- and off-screen. The first three-day festival received sponsorship from Francis Ford Coppola, director of the Godfather films and was co-founded and co-directed by Peter Kirkpatrick, a professor at Virginia Commonwealth University. The festival also does not “shy away from controversial issues,” says Brown. One film it showed in 2017 was First Daughter and the Black Snake about Anishinaabe activist Winona La Duke’s efforts to stop an oil pipeline in Minnesota. In 2018, it showed Sheldon Wolfchild’s The Indian System, which exposed how U.S. Indian policy led to the United States– Dakota War of 1862 and the largest mass execution by the United States government. 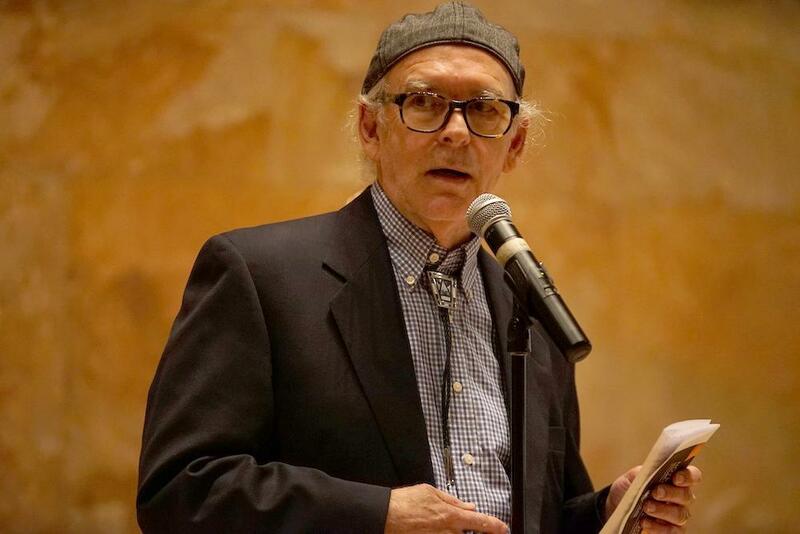 Niro says Wolfchild’s film “told an exacting breakdown of the government’s takeover of the state of Minnesota. His personal reflection on this part of history gave the viewing an emotional impact.” She said that Wolfchild’s great-great-grandfather was one of the Dakota Sioux Chiefs condemned to be hung by a military tribunal after the war. “Sheldon was present during the screening,” she said. Brown says that by showing film such as these, he hopes that “our festival will encourage more activism around all Indigenous issues.” This year’s Pocahontas Reframed film festival will be held November 21 to 24 at the historic Byrd Theatre in Richmond, Va.
For Americans Indians and African Americans, some of the assumptions embedded in the American Evolution narrative may be problematic and evoke conflicted feelings. However, the festival’s inclusion of historical and contemporary Native-themed films, directorial gender equity and representation from a wide variety of Native cultures does foster engagement with the themes of democracy, diversity and opportunity. However, for this engagement to be meaningful for Indigenous peoples, it is imperative that the dialogue doesn’t end when the American Evolution ends. It must continue in the public schools, legislatures, criminal justice system and the private sector. Phoebe Farris (Powhatan-Renape/Pamunkey) is a professor emerita of Visual and Performing Arts at Purdue University as well as an artist, scholar, independent curator, art therapist, author and editor.